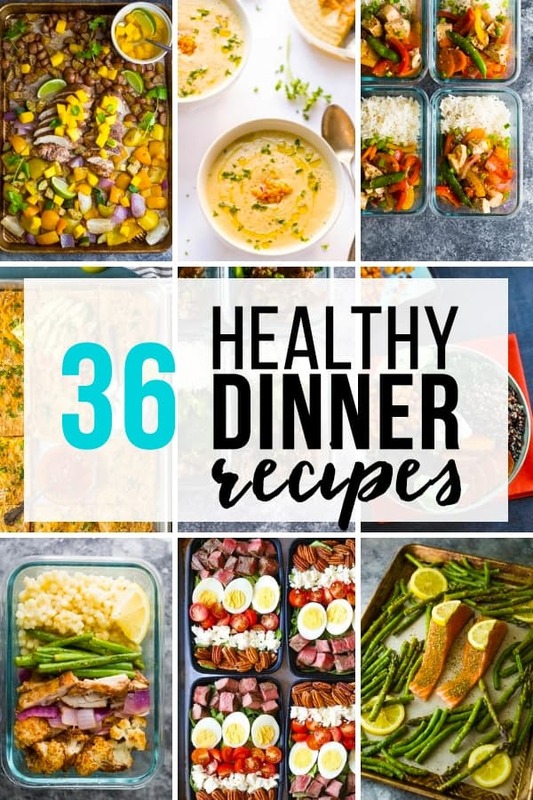 More than 36 healthy dinner ideas that you can meal prep! Tons of delicious dinner recipes for busy weeknights that are easy to make ahead. It’s back to school time and that means weeknights just got a whole lot busier! 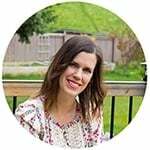 I know it’s the most stressful time of the day at our house, and I am always on the lookout for more healthy dinner ideas that can make those weeknights a bit smoother. 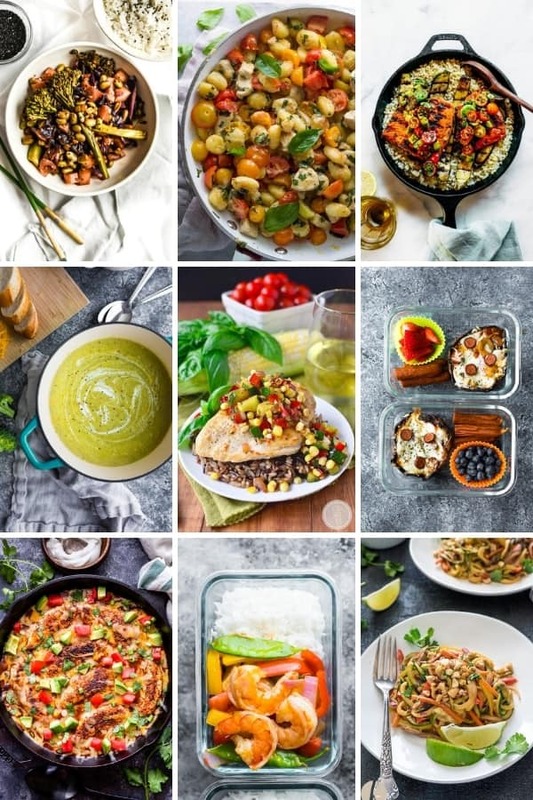 So after scouring the internet, we are sharing the BEST healthy dinner recipes out there: from sheet pan recipes to soups, salads and stir fries. There are some chicken, beef, seafood and vegetarian healthy dinner ideas. Basically, there’s a healthy dinner recipe for everyone! 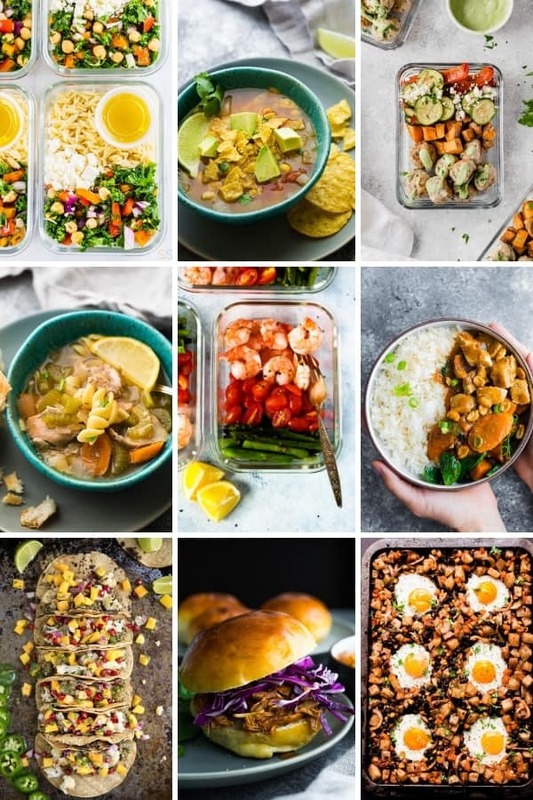 A lot of these healthy dinner ideas would also work as lunch recipes as well, so if you plan for leftovers, you have your lunches set for the next day! 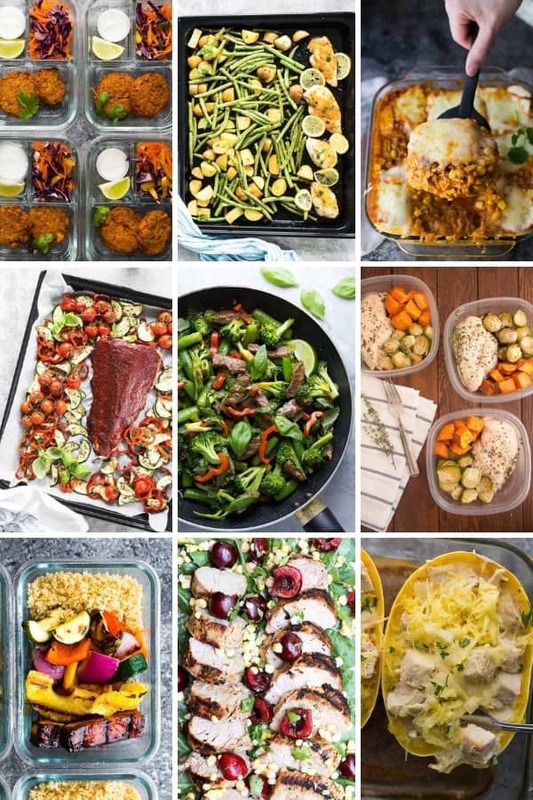 <– PS, this is one of my favorite ways to meal prep when I don’t have time to do a big prep session on the weekend. 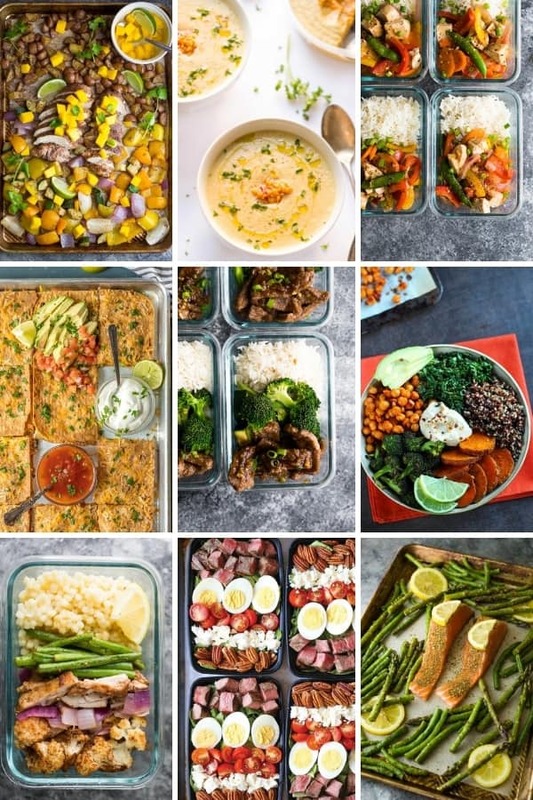 assemble but don’t cook: some of these meals (like the Asian Peanut Chicken, the Chickpea Tortilla Soup, and the Crockpot BBQ Chicken) can be assembled in bags or containers and stored in the freezer until you’re ready to cook. Alright, shall we check out these healthy dinner recipes? Let’s go!